BillHendricks.net: How About If We Stop Letting Our Children Off the Hook? I was scheduled to post on a different topic today. But I always reserve the right to interrupt an announced title with a different post in response to late-breaking developments. In this case, the issue of the hour comes from Norman, Oklahoma, home of The University of Oklahoma. 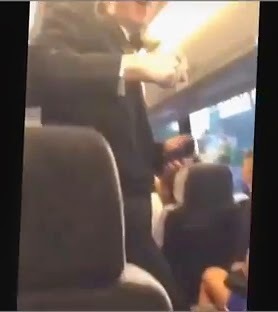 By now the video of Sigma Alpha Epsilon (SAE) fraternity members and their guests singing a racist song on a bus has gone viral. As soon as he saw it, OU President David Boren (rightly) kicked the SAE chapter off the campus and ordered its members to vacate their fraternity house by the end of the day. OU also expelled the two students shown on the video as leading the others in song. This morning, USA Today reported that one of the students, Parker Rice, came forward and apologized for his part in the incident. The publication also said that Brody and Susan Pettit, the parents of the other expelled student, Levi Pettit, offered a public apology. I have a number of reasons to take more than a casual interest in this story. One of my daughters graduated from OU, so going forward, the taint of racism that is now connected to her alma mater will in some measure boomerang back on her. Fortunately, President Boren exercised decisive, unequivocal leadership, as he always has. That’s important, because an institution’s reputation ought not to be determined by the misbehaviors of those who consume its services, but by how it responds to those who misbehave. I also feel a connection to the two expelled students. Parker Rice attended Jesuit Prep School in Dallas. I attended St. Mark’s—a perennial rival to Jesuit—so I have a pretty good feel for the students at Jesuit. Meanwhile, Levi Pettit attended Highland Park High School. For 18 years my family lived in University Park, with the result that all three of my daughters attended HP. I don’t know the Pettit family. But it would take me less than three phone calls to find someone I know who does know them. With that background, I offer the following post by my colleague and sister, Bev Godby. I read in the paper this morning about the whole debacle at OU and the SAE chapter. At the top of the page were two apologies. One was by the Jesuit graduate who participated in the obscene, tawdry scene at OU. The other—stunningly and tellingly—was by the parents of the Highland Park student. There they were, publicly falling on their own sword while maintaining unswerving belief in the moral integrity of their son. Once again, we have parents apologizing for an adult son. Not the son himself standing in the harsh light of public shame. The parents. Yes, the racism of this whole affair utterly nauseates me. And yes, racism IS taught—but not just by someone’s parents. Racism involves a societal tutelage that goes way deeper than what Mommy and Daddy do. We have no idea what Levi Pettit was taught in his home (although his parents claim they raised him to be "loving and inclusive"). But how dare any of us reading the headlines presume that his personal upbringing is the whole story, and let ourselves, as part of the surrounding village, off the hook? And yet, bad as the racism is, here’s what I find even worse: now that this sick incident has been captured on video and broadcast for the whole country to see, it’s the racism that becomes the cover story—not the abject lack of personal responsibility by one of the offenders. Am I the only one who sees a major league problem with a young adult committing that level of offense, and then when it comes time to own up to it, Mom and Dad just take care of it? 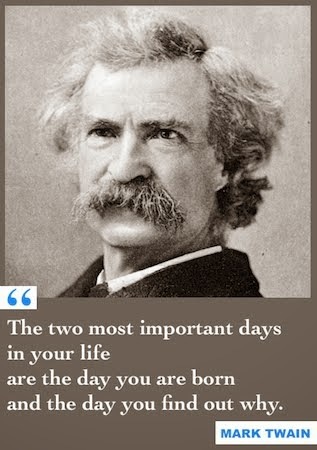 Abandonment of personal responsibility has come to thoroughly pervade our society. It is a huge, toxic sludge that is filtering down into the substrate of our youth, creating a pollution that fouls the formation of their very character. And please don’t try to play the “Bev, you shouldn’t judge” card. I’m not saying that racism sums up all of who these young men are. Having worked for the past 15 years in identifying the giftedness of young adults, I know full well that there is good, as well as the potential for greater good, in both Parker Rice and Levi Pettit. So I’m not ready to write them off. But I’m sorry, we are doing no favors to our next generation if we keep cocooning them from the consequences of their behavior. Mom and Dad Pettit, you seem like well-meaning parents. But push your kid out the door and into the media glare, and make him deal with the problem he has caused. You are saying so much more than you know by trying to put a face on things. And isn't that part of what got us here in the first place? With three grown daughters of my own, I can hardly think of a worse situation to find oneself in as a parent. But as an expert in helping young adults leave the nest and assume their place in this world, this is what I have to say to parents whose son or daughter lands themself in a big, rotten mess: get out of the way! Let them fall and bleed and struggle and shed a few tears—and through that find their capacity to persevere. Because if you don't, you are guaranteeing irresponsibility. And that crippling condition will haunt them all their days. Actually, It IS Who We Are! I just hate that! Because it only adds to an us-versus-them mentality, which I think prevents us from being in touch with our own capacity for evil and malice. It allows us to think that this is someone else’s problem, over there. It’s “their” bad. It’s “their” racist behavior. Its “their” biggoted” fraternity/school/community/family/ethnic group/region. I can claim the moral high ground. But see, who he was on that day was not good. Like all of us, their boy was both good and bad. And when we fail to allow the full weight of our children’s bad choices to fall on them, we render them incapable of learning the consequences of those choices. “This is not who we are”? Well, I’m sorry, but apparently this IS who we are, at least in part. This incident—which happened, fittingly enough, on almost the very anniversary of Selma—is revealing something about our moral fabric as a culture that must be everyone’s concern. And we make a huge mistake if we climb up onto a moral perch that puts us at a distance, and we pretend otherwise. I realize that the language of that phrase purports to be inspirational, and that when a voice of authority and gravitas intones, “This is not who we are,” the intent is to call us to something higher. Well, I don’t believe it does. I find that it just deepens the divide. Are we Americans? If so, then the OU incident forces us to admit a bitterly painful truth: sadly, racism is a very real, metastatic cancer in American society. And it’s not just a certain fraternity/school/community/family/ethnic group/region where it lurks. Sure, some places are completely eaten up with tumors and lesions of prejudice. But ALL of us possess at least a few of those cancer cells. And without intentional and regular monitoring—and the courage to accept and exercise personal responsibility—we, too, could do things that are just as twisted and perverted—maybe even worse. Our hearts could be just as dark. It is only as each of us leans into our part in finding life-giving and altering solutions—both personally and societally—that healing will ever prevail. The truth can be very painful, but I think that it is better to say it. Thanks alot for the personal view.